Traditional woodcut print making is a composite art from in which the individual, specialist skills of artists, wood carvers and print makers are combined to create a delicate and beautiful work of art known as Ukiyo-e (pictures of the modern world). 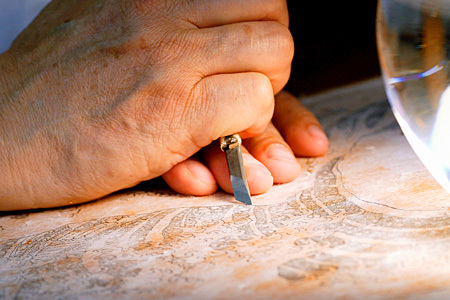 The world of woodcut printmaking is one of grace and warmth that is not found in any other form of printing. Through the skillful hands of master craftsmen of the Heisei era, this traditional art form has been inherited by the current age. Returning to the past, it is notable that it was not the Japanese upper-classes, but rather the common people, who cherished Japanese Ukiyo-e prints and nurtured the development of the woodcut printing techniques necessary to produce them. The mass production and circulation of woodcut prints underlay the blossoming of Japanese popular culture that occurred during the Edo era(1600-1867). Ukiyo-e prints are widely appreciated both within and outside of Japan. 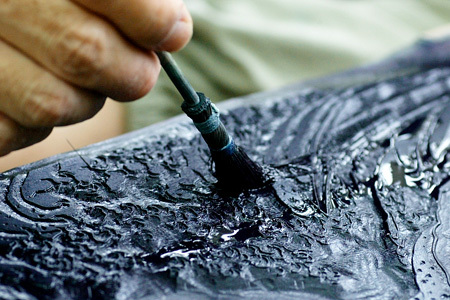 Indeed, woodcut print making techniques are said to have had a strong influence on the European impressionist painters of the 19th century. 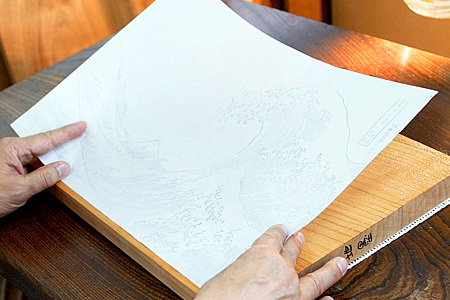 Ukiyo-e or woodblock printing, is traditional Japanese art form that dates back over 300 years. 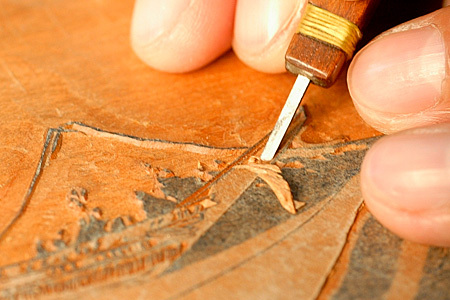 During the seventeenth century, the techniques of woodblock printing were first used to produce artwork for mass consumption. 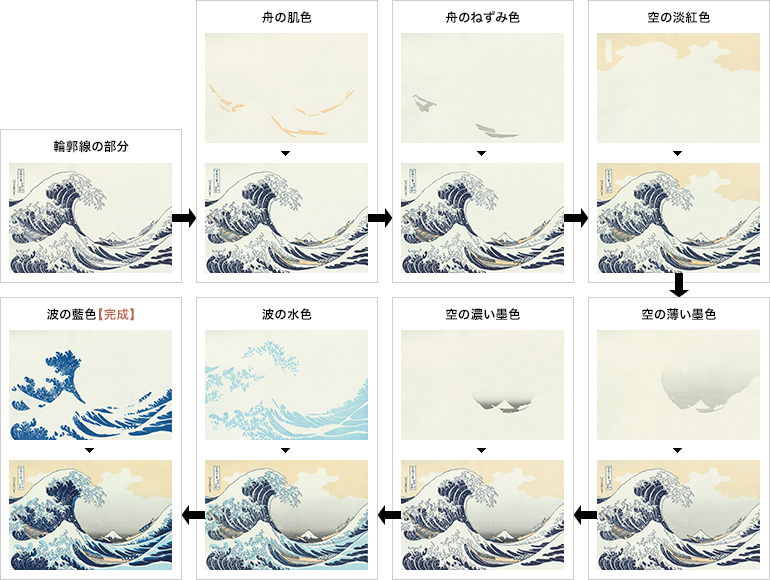 The techniques used in producing Ukiyo-e have not changed throughout this 300-year period. 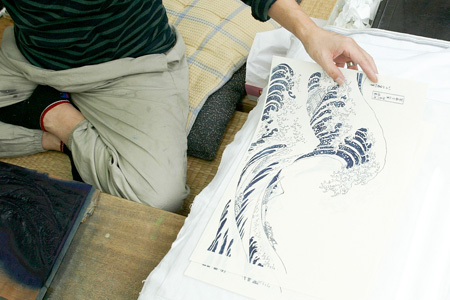 An Ukiyo-e print starts with an artist creating a picture, which will be used as the basis for the woodblock print. 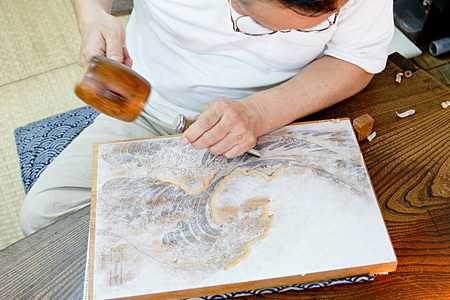 A craftsman then carves a series of wood blocks that will be used to print copies of these blocks to print the Ukiyo-e.
Each print not only reflects the vision of the original artist, but also the skill and vision of the carver and printer. The result is a unique piece of artwork that captures the spirit of traditional Japan. 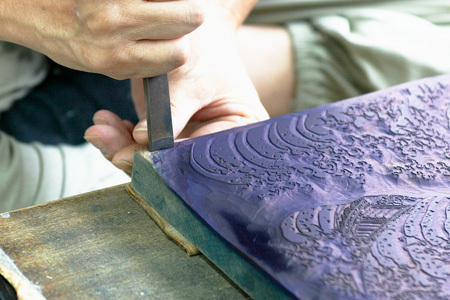 The creation of traditional woodcut prints is based on a delicate devision of labor between three craftsmen - an artists, a wood carver and a print maker . If one of these craftsmen outshines or underperforms the others then a hight quality print will not be crated. 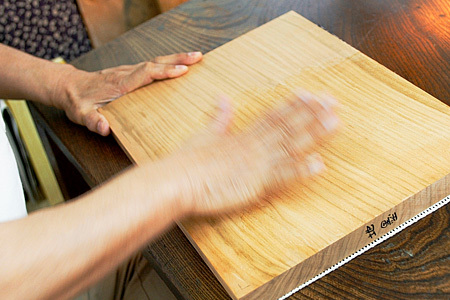 These are artisans who master their own area in an unobtrusive yet dignified manner. It is when their supreme skills are harmonized that a woodcut print, far superior to that which could be produced by any one individual, is created. 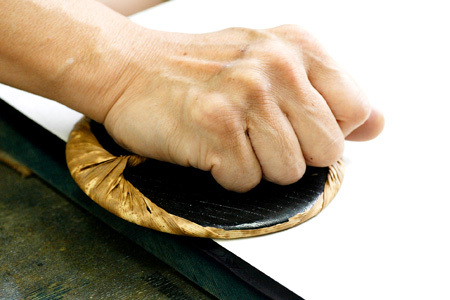 The creation of a woodcut print begins with the artist making a hanshita-e (a kind of template drawing to act as a guide for the subsequent printmaking and composed only of black ink lines). The artists puts his heart and soul into every brush stroke and the hanshita-e, which has been created taking the avoidance of waterfulness to its extremity, is the entrusted to the wood carver. 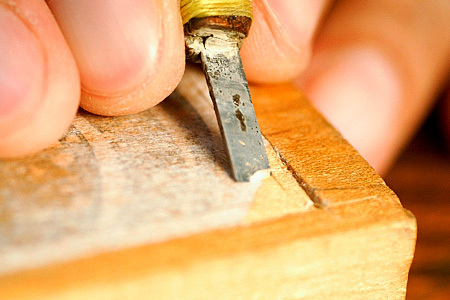 The carver pastes the hanshita-e onto a wooden block and carves out the wood according to the black ink lines. 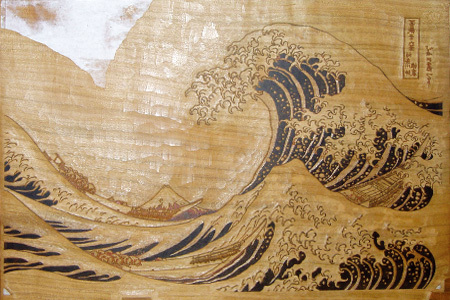 The artist creates a new hanshita-e for each color and the wood carver then carves this out on a new block. 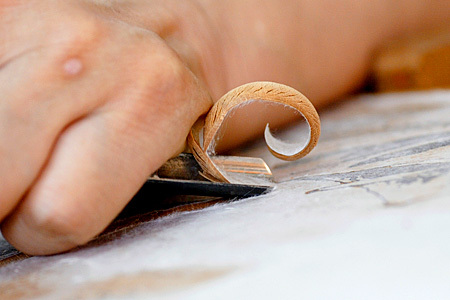 The artist and wood carver have to liaise closely during this process. The completed blocks for each color are then delivered to the printmaker and the creation of the woodcut print nears its climax. The artist trasnmits his image using various methods. The print maker creates complicated combinations with his pigments and manipulates them at will to produced assorted hues. Each artisan respects the other but a succession of breathtaking offences and defenses by each of these stubborn individuals occurs until both are satisfied. 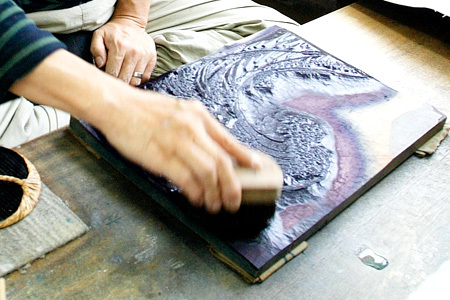 A woodcut print is completed in this way. Essentialy, this is an extremely rare artistic technique in which several people work together to complete a vivid picture of individualistic hues. It is surely fair to say that this is a fine art that Japan can take justifiable pride in. 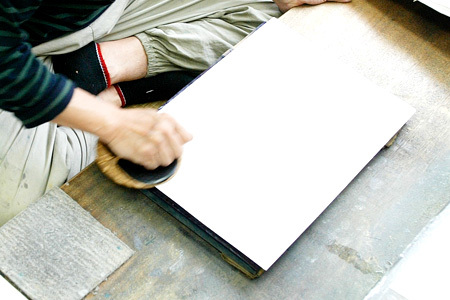 All printing are done by hand, using the traditional woodblock process. The printing stage is both time-consuming and extremely delicate, because each colour in the print must be printed from its own block. The printer must align the print perfectly through several stages of the printing process. 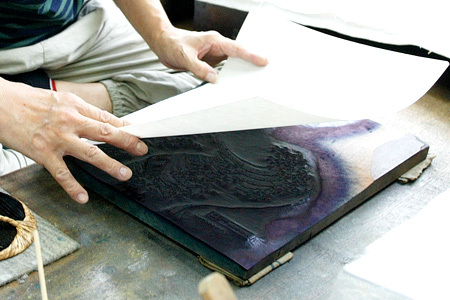 All prints are produced on handmade Japanese Kozo (paper mulberry) paper. 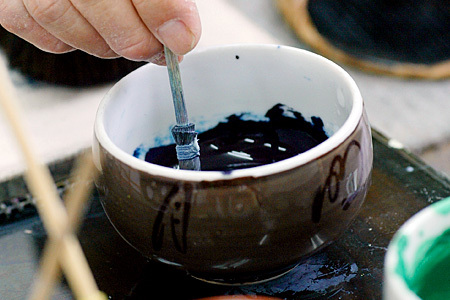 Inks are made from natural dyes. All of the material used are traditional Ukiyo-e. 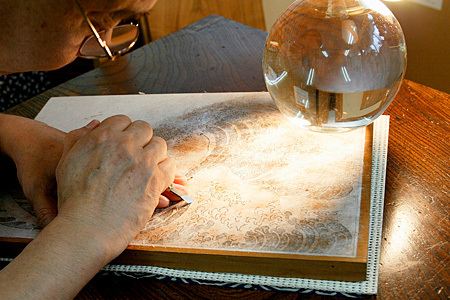 Through careful research, the use of traditional techniques and materials, and the highest standards of craftmanship, the artist are able to reproduce original Ukiyo-e with the highest level of accuracy.